Wholesale Trader of a wide range of products which include screen making service. We provide screen stretching service for all over India for many type of application. 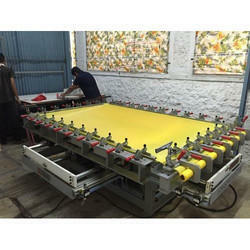 Also supplying exposed screen for ready to print as per application of customer. We have a fully equiped prepress unit for the same where we could maintain the quality consistantely. We use Sefar & Saati mesh for stretching which are the well known brands in screen printing fabric. Looking for Screen Making Services ?